Whitehaven Marina in Cumbria have confirmed that their annual sea lock closure will be between Monday 22nd February and Monday 7th March 2016. 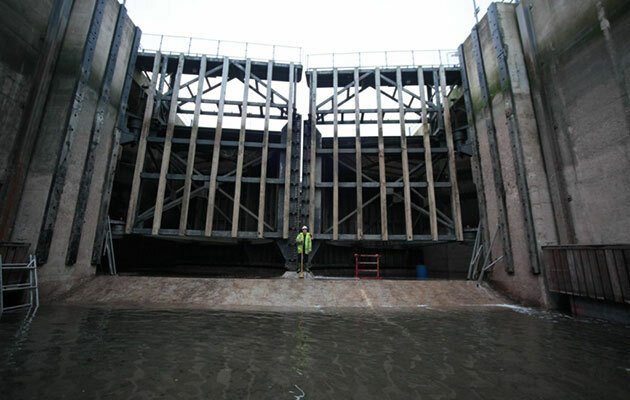 The maintenance work is to be carried out by marina staff and specialist contractors, and will ensure the efficient and safe operation of the Sea Lock throughout 2016 and beyond. The heavy lock gates keep the Irish Sea at bay and protect the 400 boats in Whitehaven Marina as well as the town of Whitehaven itself safe from flooding. The sea lock, along with the 265 year old breakwaters, forms an integral part of the sea defences and has been put to the test by the recent powerful winter storms. The Marina team will overhaul the lock’s hydraulics, electrical systems, seals and anodes. The closure is timed to cause the little disruption as possible to the many vessels that use the marina. The Sea Lock was constructed in 1998 at a cost of £6.7 million and formed part of the regeneration of Whitehaven harbour and town. Approximately 3400 vessels a year pass through the sea lock which is manned 24hours a day year-round.